Hello there and welcome to the Glow Crazy Party Centre. parties for children and teenagers. large TV screen monitors with Xbox, Playstations and Wii u, with all the latest games there is. Also a pool table air hockey table tennis soccer and glow golf for everybody to have fun with. And if gaming isn’t your thing we have a fully equipped disco area complete with a professional dance floor, a DJ, disco lights and karaoke on a big screen TV. There is something for everybody! Our food is plentiful at your party and our frozen slurpies are unlimited. We also have a lovely alfresco area for adults and we are able to hold large functions for up to 80 people. 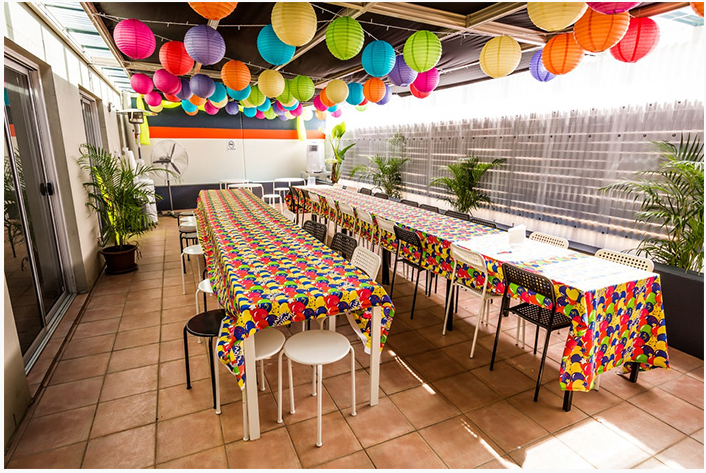 Our party centre is fully air conditioned and we are constantly working to keep things modern and up-to-date. is commited to giving you great service and a memorable function. We are also open on the school holidays for everyday play.